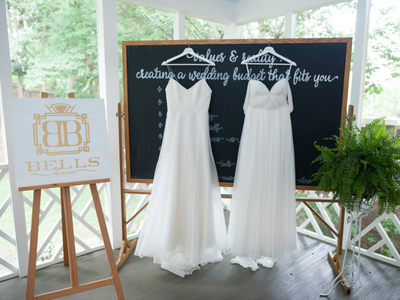 5 steps to banish your wedding stress! Planning your wedding is extremely overwhelming. You’re trying to incorporate all of the special things you imagined your wedding would have when you were a little girl with what your future husband wants, with what your parents want, with what your future in-laws want, with what your caterer wants, with what your great aunt Mildred wants all while trying to stay within a reasonable budget. You had always thought that planning this day was all about what you wanted and finally having all of your fairytale dreams come true! Now you’re the one stuck in the middle, feeling pushed and pulled in 100 directions planning the biggest event of your entire life…and there’s nowhere to run. 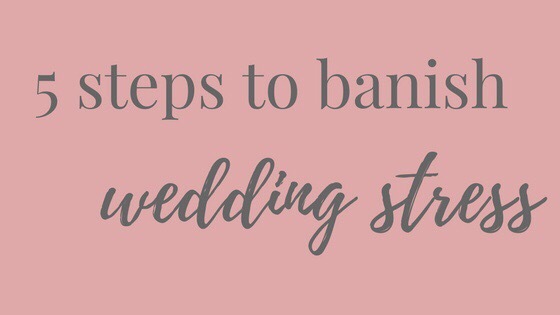 While all of the stress will be worth it in the end when you start your new life as Mrs. here are a few of our favorite stress relievers that we recommend to the overwhelmed bride! Meditation is a life changer. It can fit into any schedule, any time of day. I recommend searching for a local business that provides an evening meditation session or just doing a google search for a quick, guided meditation. You can even search for a meditation directly geared towards what you’re needing that day; stress relief, motivation, joy, peace, abundance. Namaste. I learned in practically all of my college psych classes that exercise works better than any antidepressant on the market! Getting that blood pumping brings a heaping dose of oxygen to the heart, lungs and brain. It’s revitalizing and stress relieving. Don’t believe me? Take a few laps around your neighborhood or jog to your favorite coffee shop and see how you feel. I bet you won’t regret it! Hear me out! Having a therapist is like having a best friend who’s really interested in everything you have to say. Sometimes that’s what we need most when we’re in the middle of a very stressful life event. They don’t cut you off, they don’t talk over you and they don’t try to one up you. It’s so awesome! They’re job is to listen, acknowledge how you feel and give you some pretty astounding feedback and life advice. Could it get any better? If you ever come over to my house and look into my cabinets you’re going to be blown away by how many essential oils I have. They’re just awesome! You can’t not just melt into your bed when you have lavender oils in the diffuser and peppermint oil on your temples. Ahhhh. I’m relaxed just thinking about it. Want to know the instructions to the most stress relieving shower of your entire life? I know you do! Turn your shower temperature up to as warm as you can comfortably stand. Before you hop in, sprinkle a few drops of lavender and peppermint oil into your shower. The steam literally becomes like magical, stress-relieving spa air. Thank me later! deny the relaxing effect of a few cocktails. Not a fan of alcohol? Try Chamomile or Kava tea. Both can be bought at most grocery stores and are sure to ease your tension.